According to a recent report, A.M. Best believes a carrier's ability to innovate via technology is critical. Insurers that can utilize technology to respond quickly to market dynamics "will be better positioned for future trends and developments. "2 Disciplines currently embracing analytics include actuarial, marketing, loss control, pricing, underwriting/risk selection, and claims management. Some experts believe the use of analytics in claims has already become an industry best practice. Using past events to anticipate the future, predictive modeling is a process whereby statistical and analytical techniques identify patterns that are then used to develop models that predict the likelihood of future events or behaviors. Working with a large database, data mining software is used to analyze the data to uncover trends or relationships. Recent developments in machine learning, including the use of advanced technologies, have made strides in the ability to uncover correlations among factors in data. The results are viewed through dashboards that provide quick and simple views, and alerts based on the metrics you seek. Ultimately, the associations between certain factors help insurers find ways to better match their time and talent to claim tasks and to find ways to better apply resources where a difference can be made. Based on the predictive modeling process, it is not too hard to see how such an extensive review of historical data can provide insights on trends. But how can this information help in the management of claims on an ongoing basis? Proponents of predictive modeling assert it can be used in all aspects of the claim management process and across all lines of business. Predictive modeling compares factors associated with new and pending claims against those of past losses. These components can include the nature of an injury, treatment, characteristics of the claimant (including age, education, domestic environment, etc. ), insured data, liability, attorneys involved and venue, among others. Analysis of ultimate values of past claims fitting similar fact patterns can provide insight in formulating reserve and settlement values for current losses. Utilizing the same data analysis, predictive modeling can be used to identify claims with the potential for high defense costs while also identifying which defense firms were associated with favorable outcomes involving similar cases. Advocates of using analytics in this manner see an added value to the litigation management process regarding defense counsel selection in which the most appropriate resources are assigned, thereby hopefully producing a positive effect on loss and expense costs. This methodology is also used for scoring claims with regard to subrogation potential, so that the claim professional can take a second look at losses that may not have been initially identified as having potential third-party involvement, and to either rule out or take appropriate action before it is too late. One thing that typically has been a claim department's initial foray into analytics involves the identification of potentially fraudulent claims. Claim professionals are familiar with the traditional red flags of potential fraud; however, he or she cannot be aware of all the possible similarities that an ongoing claim may have with past claims that were confirmed to be fraudulent. Based on such similarities and other fraud indicators, predictive modeling identifies claims for further investigation by the adjuster or a Special Investigation Unit (SIU). Matters that are cited in this manner do not necessarily mean that fraudulent activity is present, just that further review is warranted. All of the aforementioned benefits, which analytics may provide, can be seen as enhancements to the claim management process. However, one of the more interesting uses of predictive modeling is its reported ability to provide early warning of potential "outliers" - claims that appear routine but eventually develop into high value losses. While such claims exist in every line of business, we will use Workers' Compensation as an example. When a catastrophic (Cat) claim is reported, such as a work-related loss involving a brain injury, amputation or paraplegia, claim professionals know well the extensive treatment that will be required along with the potential for long-term disability and permanency. As such, they reserve the claim accordingly and assign appropriate medical management resources. These Cat claims are recognized and receive immediate attention. In contrast, claim professionals often have more difficulty in assessing loss values associated with claims that are commonly referred to as "creeping Cats." Creeping Cat losses typically involve minor soft tissue injuries, which are reserved and handled as such. Initially, these soft tissue claims are viewed as routine. Over time, however, a number of these losses will experience gradual adverse development. For example, return-to-work dates get pushed back, stronger pain medication is prescribed, and surgery may take place down the road. Losses initially reserved at $8,000- $10,000 then become claims costing $200,000-$300,000 or more. Since these claims may develop over an extended time period, they can be difficult to identify. The main requirement for the predictive modeling process is data. Multi-year data is necessary to adjust for economic cycles and other anomalies. The deeper the history, the better, although recent data is usually weighed more heavily for trending purposes.5 If the amount and extent of data available in-house is a concern, there are analytic programs that make use of external data sources that can fill gaps (geographic/jurisdictional, injury type, etc.). While most insurance carriers have a vast amount of data, modeling effectiveness is based on the data sources and the quality of the data provided. Claim records with missing, incomplete or erroneous data have a negative impact on the accuracy of the predictive model. In that case, efforts to ensure clean and accurate data must be undertaken. This process may be long and costly for some insurers and more so for those with multiple legacy systems. Data integrity is essential. To be ready to consider analytics, any carrier with claim documentation issues must first clean up and improve its practices. Additionally, a predictive modeling service provider may be engaged to help determine the adequacy of a company's data. If an insurer is in the process of converting to a new claim system, or is considering doing so, it may be best to postpone any implementation of modeling software until the conversion process is complete and the claim data is tested. Does the use of analytics in claims really work? 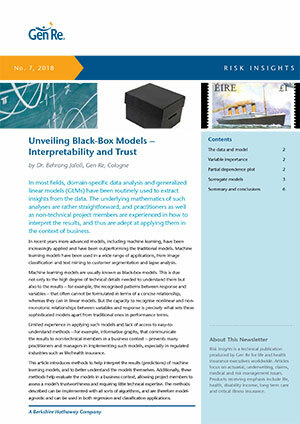 Large national carriers and corporate risk management departments report successes in using predictive modeling in their claims management process for a number of years.8 Many regional and smaller carriers have also begun to engage analytics. Insurers with low claim volume may need to research further the cost effectiveness of utilizing modeling for their operations. 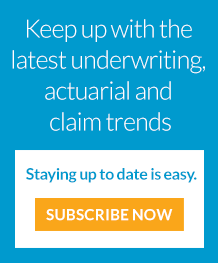 Some publications and vendors appear to promote predictive modeling as a way to automate decisions and allow a claim department to do more with fewer people. However, the principal goal of this technology is to assist the claim professional through the course of a claim and provide supplemental information to be used in the decision-making process. The use of predictive modeling tools in claims is not meant to replace the claim handler's own thought process. Its purpose is to provide decision support for his or her individual analysis. As with other forecasting tools, predictive models indicate probabilities, not certainties. While predictive modeling may enhance good claim handling, it cannot rectify poor claim handling. It is not a substitute for proper claim management methods and does not take the place of individual claim handling analysis. The utilization of predictive modeling within claims management has been embraced by some carriers and explored by others. Many remain skeptical that they would see any benefit while even more have yet to even fully understand it. Claim managers should always be aware of, and open to hearing about, new and innovative claim handling tools and methods. If there is technology currently in use within the industry that may potentially increase efficiency - while having a positive impact on loss costs and expense - it is the responsibility of management to learn more about it.